The following is a guest post from regular contributor, Angie at Echoes of Laughter. Hello Org Junkie Readers! Happy Summer! 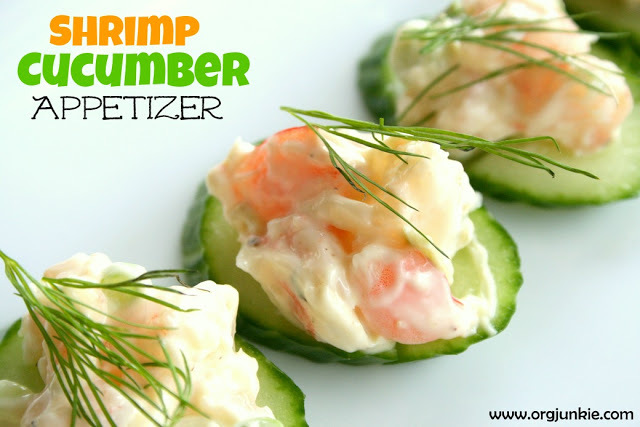 I am so delighted to be here today to share a super fun & easy appetizer that is cool & crisp for summer…Shrimp & Cucumber Appetizer. It’s also gluten free, as my friend Laura here at Org Junkie is eating wheat-free these days, so I am going to be sharing more gluten free recipes with you this summer! This recipe is very easy as it requires no cooking, baking or grilling and can be made in 15 minutes AND can be eaten right away or refrigerated until serving time! 1. In a small bowl, mix together shrimp, mayo, green onion and Dijon mustard. Add salt & pepper to taste. 2. Using a teaspoon, add a dollop of shrimp mixture to each cucumber slice. 3. Garnish with fresh dill and serve immediately or refrigerate until later in the day. If you are looking for a delicious gluten free dessert, please visit my blog HERE for a sweet, no-bake recipe. I want to wish you all a Happy 4th of July & Canada Day! Angie’s blog, Echoes of Laughter, is all about filling your home with love and laughter. She loves creative projects, organizing & decorating, cooking, baking, and all things domestic. 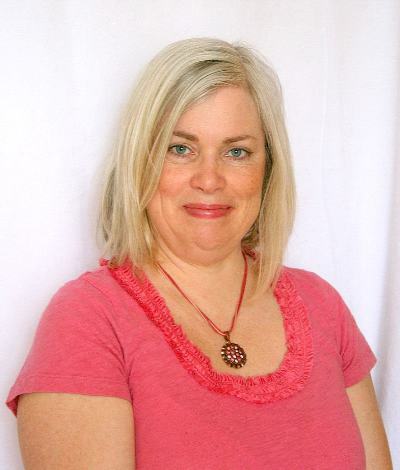 Angie lives in Alberta, Canada, with her husband and two great kids. Love it! I just recently discovered I have a gluten intolerance so in search of as many recipes as I can find! I want these. in. my. belly. right now! great picture too. WOW that appetizer looks great! I am always on the lookout for new appetizers – not only because my husband and I love to entertain, I am always looking for great recipes to pass on to our customers. The Shrimp and cucumber is definitely one of those.